Minister Nimal Siripala De Silva with the Maldivian Civil Aviation Minister Moosa Sameer. An official from the Transport and Civil Aviation Ministry said the first flight to the Maldives airport will fly out from Ratmalana operated by maldivian Airlines. 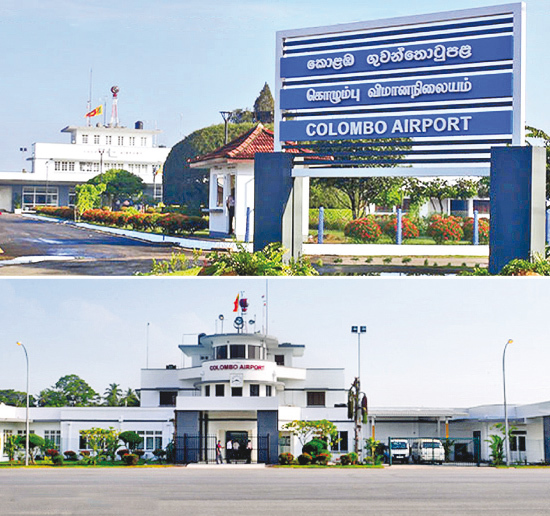 It will also offer connections to China, Dhaka, Bangkok and Chennai making Ratmalana the third Sri Lanka airport after Colombo and Mattala to offer connections. maldivian Airlines will operate a 60 seater D8 aircraft for this operation. The Airport and Aviation Authority has also looked at the runway and other facilities and have approved the safety standards at the Ratmalana airport. 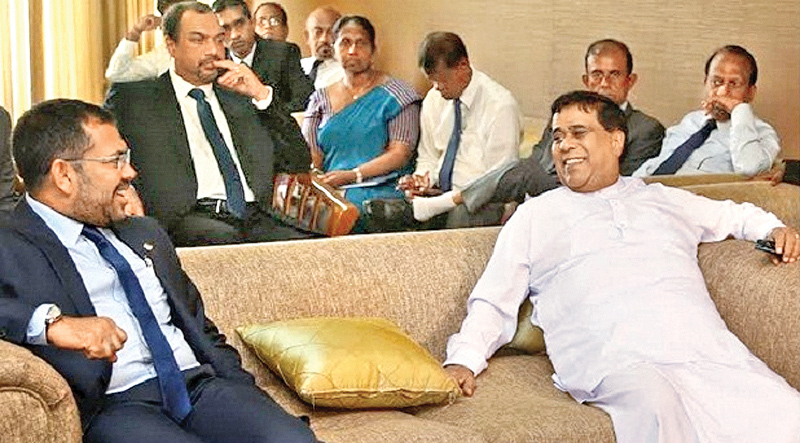 He said Minister Nimal Siripala De Silva was working to revive the Ratmalana airport and negations were going on with Maldivan government as well as the Air Force in this regard. He said Maldivian Civil Aviation Minister Moosa Sameer was also in Colombo last week and the final MOU in this regard will be inked next week. “We have now taken the entire control of the airport from the Air Force and it will a commercial airport now.” He said the second terminal building that was idling is also being refurbished. Here we hope that when Ratmalana airport is officially declared as the 3rd.International airport i Sri Lanka, the politicians will not rush to give it a tongue twisting name. Just Ratmalana International Airport Colombo should suffice The names of the other two also should be changed to KATUNAYAKE International Airport Colombo and Hambantotoa International Airport. Isn't it the first international airport?